Road Trippin’ with Kids- How to Plan a Kid Friendly Road Trip. Planning a kid friendly road trip isn’t easy. You have to take into account that the kids will get bored easily and need entertainment along the way. 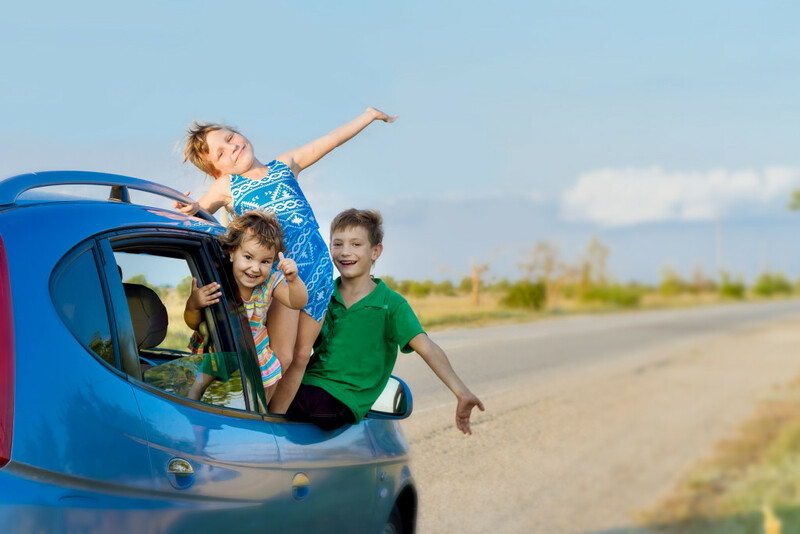 While you can bring some items to keep the kids entertained, planning a kid friendly road trip goes beyond simply learning what to bring to keep your kids occupied. Try to find family or friends along the route of your kid friendly road trip. This allows for a break, sleep over and time to get those legs moving in between sitting in the car for long periods of time. If there isn’t any family or friends along your road trip itinerary then plan ahead by reserving a motel or hotel room. Kids will need a place to rest up every so often during the road trip to keep from being cranky. There’s nothing that excites kids about a road trip more than having them help with the planning. Provide the kids with a map of the areas you will be driving for the road trip. Let them research the areas on the computer. If you have younger kids, you can place them on your lap and help them research. Let the kids select a couple landmarks they want to see along the kid friendly road trip to help get them excited about your family trip. Have each family member create a must have list of items they want to bring on this kid friendly road trip. Be certain to start packing well before departure day. This will ensure the kids don’t forget their special blanket or stuffed animal to have as security on the kid friendly road trip. Think about snacks and water supply. Invest in a family size cooler you can keep in the trunk of middle of the road hunger pains.